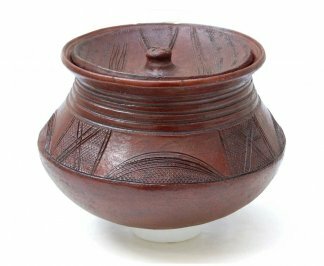 Large, authentic vintage Nupe clay pot. 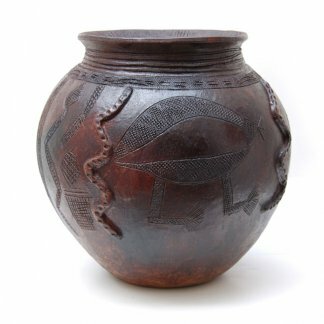 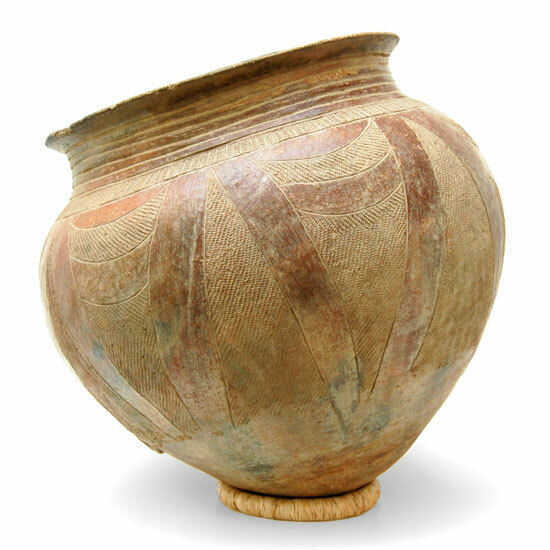 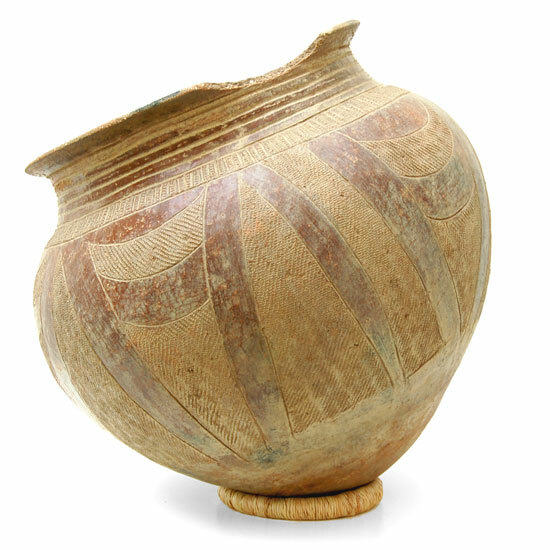 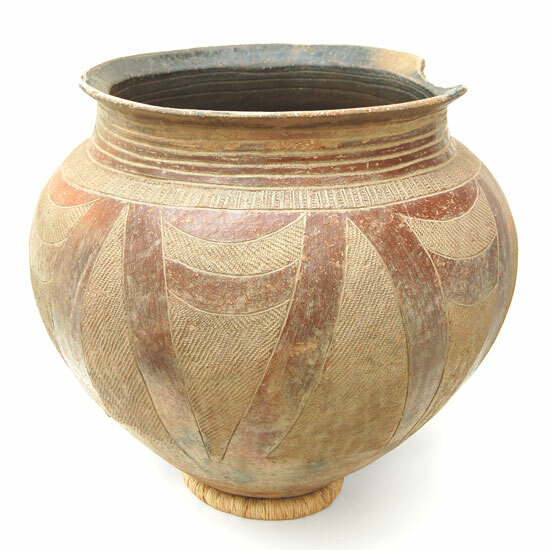 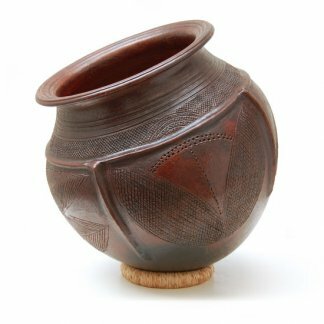 This is an authentic large clay Nupe pot embellished with carefully executed incised surface patterns around the wall. 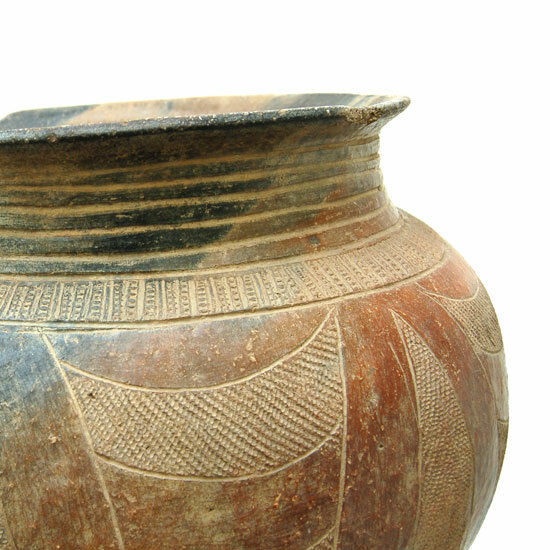 It shows evidence of age and use, with damage on the rim and encrustation on the surface. 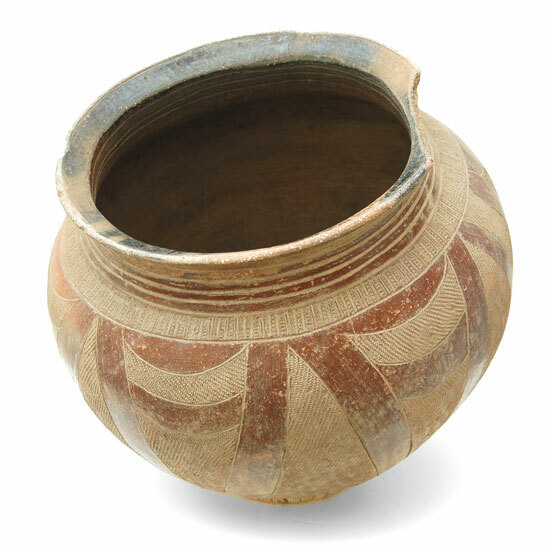 Was buried half-way in the ground and used as water pot prior to acquisition. 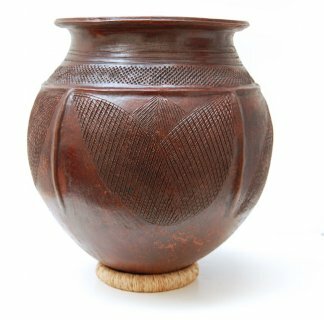 Beside the chip on the rim, the pot is in stable condition. 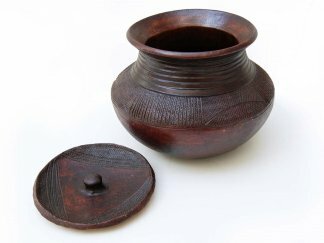 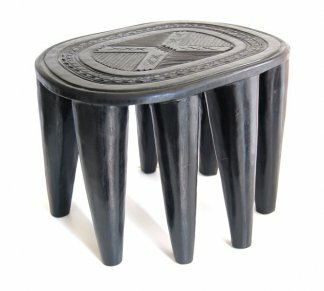 Museum quality collectible. 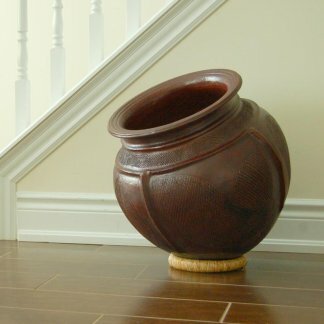 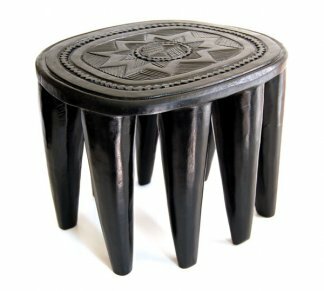 Imported from Africa (village of Giri, FCT, Nigeria).